Saturday 12th January at The Grange City Hotel, London. 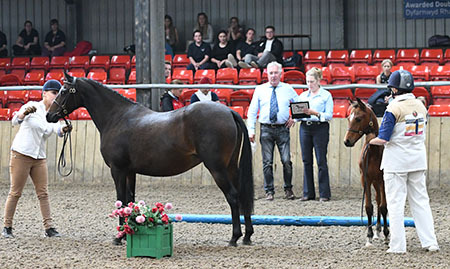 10-24 August The SPSS is continuing to support this initiative (new in 2018) which has been set up to not only simplify the registration of sport horse foals in Britain, but also to identify and promote the best foals bred in the UK. The tour will visit locations in the UK throughout August. More information available here. 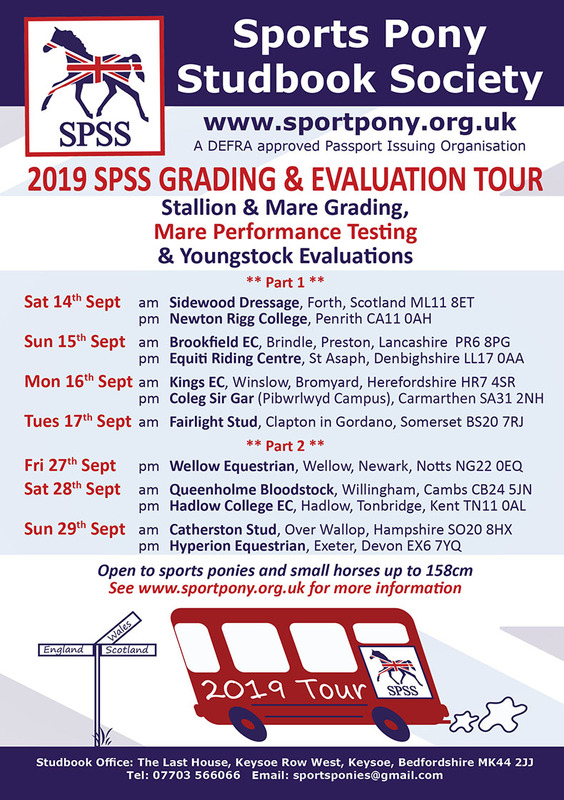 SPSS Passport Forms may be given to the SPSS judge on the day or sent to the Studbook Office in advance - with the ID section either completed by the vet on-site at the Tour day or by another vet beforehand. There are separate sections for 4, 5 and 6 year old ponies (who must not exceed 149cm). If a pony’s height is disputed, the pony’s current height certificate must be available on the day. Ponies will be seen in pairs at the qualifiers and will ride a commanded test (contact BD to get a copy). This is not a dressage test and marks will not be deducted for riding the wrong pattern. The route plan is designed to assess the quality of the horse’s paces, talent and training. Marks allocated at this stage are used solely to determine the top six horses to return for the final judging. Horses will not be stripped or ridden by the judges. Then the top 6 ponies will return to the arena for final judging (where previous marks are disregarded). 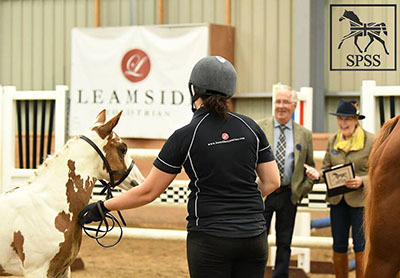 They will be asked to show walk, trot and canter and the final placings are decided between the top 6 ponies, disregarding the previous marks. The top 3 ponies (provided they score 7.0 or more) will qualify for the final (qualification will pass down the line if any of the top 3 are already qualified). Riders are eligible from the beginning of the year of their 12th birthday provided that they are of an appropriate height and/ or weight for the pony. At the Championship, combinations will be asked to ride a dressage test. Tests used will be BD National Test for the respective age of the pony. There will be no further final judging and final placings will be decided on the final mark from the Championship test.